TXWSW salutes its all-volunteer staff of women who are leaders in their field and make the time to contribute to our collective success. They lead by example and are generous with their time and resources in helping others. They are truly Limitless Leaders. 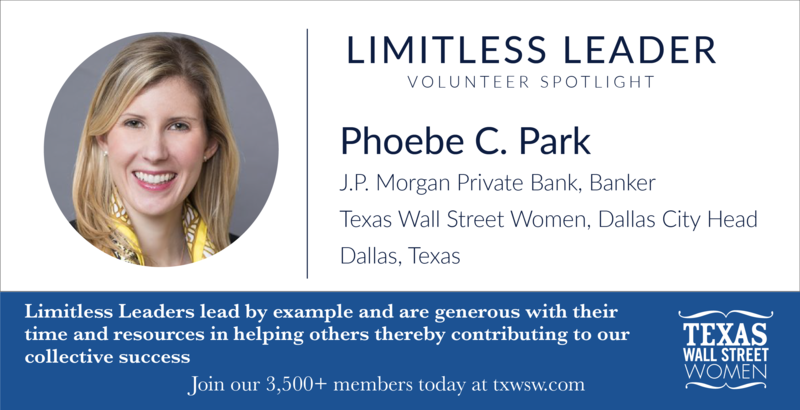 Please join us in recognizing Phoebe C. Park, a Limitless Leader. We are grateful for all that she does! Why did you choose to become a volunteer? I am a huge believer in the power of education and attribute my personal success to both life experiences and having exposure to strong, female leaders along the way. Although drive has to come from within, confidence and empowerment in business are definitely aided by having others to lean on that have walked in your footsteps. To the young ladies of the Young Women’s Preparatory Network and others pursuing a career in business, I hope I can serve as the inspiration my mother, aunts and mentors have been as I pursued my passion. 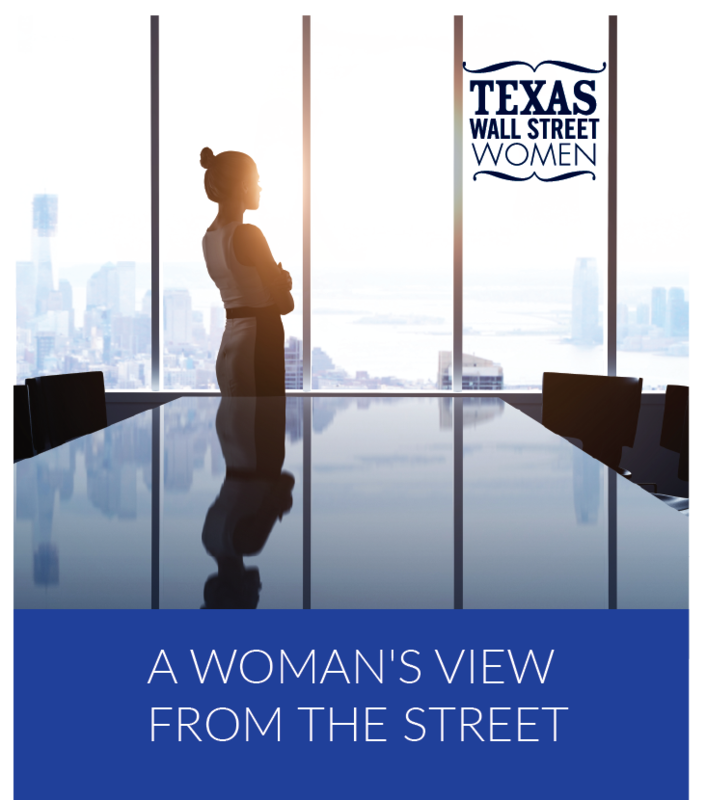 How have networking groups like Texas Wall Street Women helped your career? Texas Wall Street Women has provided an invaluable network of people you can lean on in the business community across Texas. Involvement in the organization is agnostic to age, gender, title or experience. We’re all here to lift one another up, and there’s a great energy that comes from being part of this fantastic organization! What future change would you like to see in the finance industry (or your industry) and how will you contribute to that change? In my opinion, there’s always an opportunity to improve diversity. It’s much more fun to collaborate and work with partners that have differing backgrounds, as you can always learn something new. 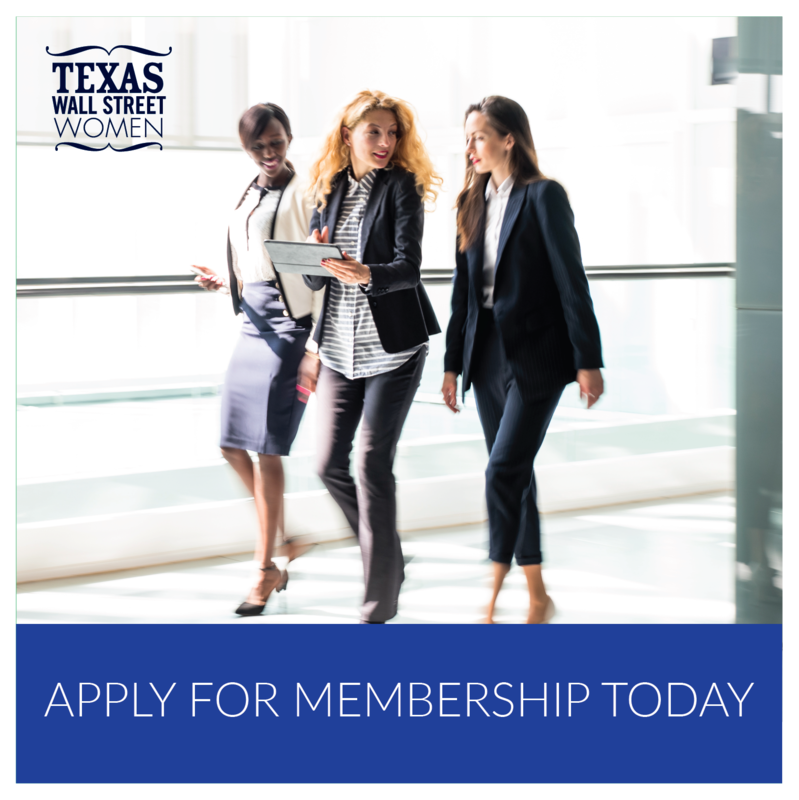 Texas Wall Street Women is a non-profit networking group that supports its members in their career growth by offering valuable networking and educational opportunities. We also give back to our community through our partnership with the Young Women’s Preparatory Network that provides college preparatory education to underserved girls across Texas. We provide our entire programming with an all-volunteer staff who all have successful finance careers and still have time to volunteer to help other women achieve their goals. Do you know a Limitless Leader making a difference in finance? 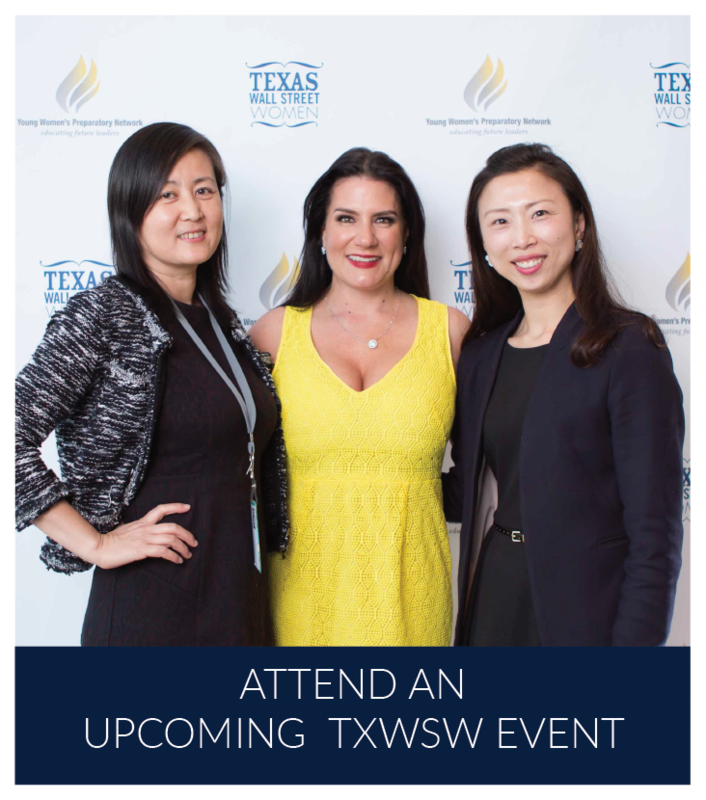 We encourage you to share this with your mentors, friends, and colleagues so that we can celebrate their achievements and success by becoming a member of Texas Wall Street Women.